It's almost Tulip Time in the Skagit Valley and it looks like everything's on time this year. 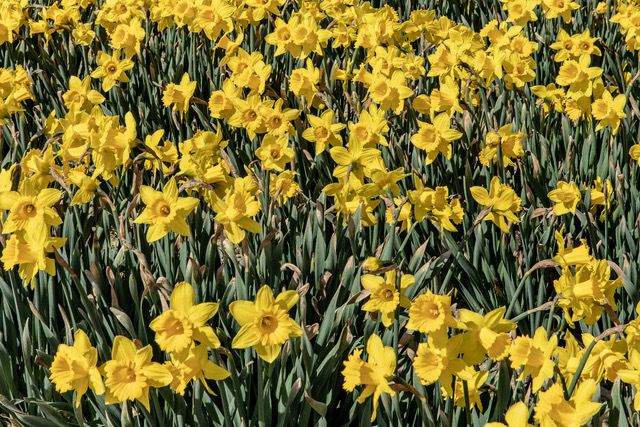 Right now the daffodils are in full bloom. Steve's photos were taken on Friday, March 29, 2019. The migrating birds are already in the fields. Tulips are due soon. Here's a page on the bloom status if you have your heart set only on tulips: Bloom Status. The Tulip Festival people say that the tulips will bloom all through April. Here's the Tulip Festival brochure. There are activities all over the Skagit Valley all month but you will want to do some planning before you go. It has an event schedule, parking information, driving directions, and everything you need for a successful trip to the Skagit Valley. 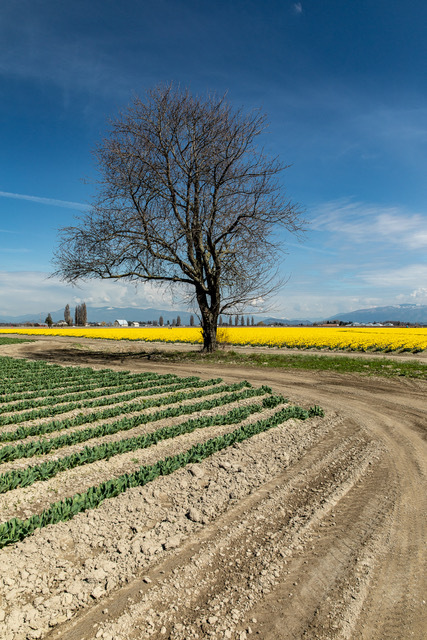 The tulip farms belong to half a dozen Dutch families who scouted carefully and chose the Skagit Valley as a place to grow tulips just before WWII. 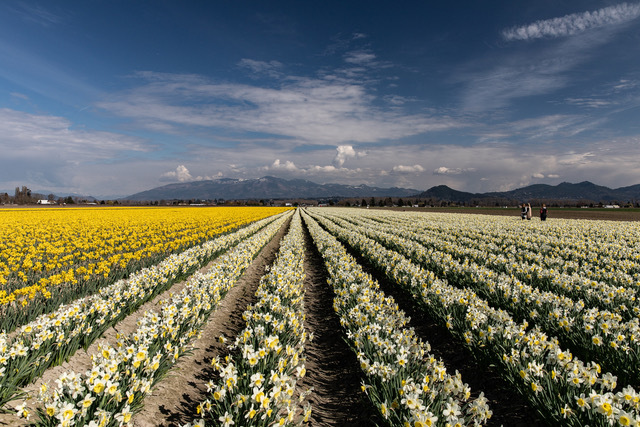 Now if you order bulbs from Holland, they will have been grown in the Skagit Valley.